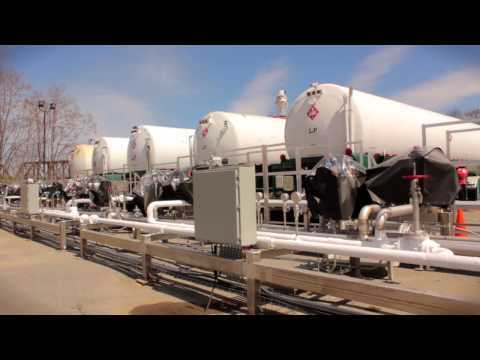 Xpress Natural Gas (XNG) provides unparalleled service and technical expertise to help businesses and institutions join the energy revolution by transitioning to compressed natural gas (CNG). We want to help your business grow with safe, domestic, energy that will reduce operational costs by 40% compared to traditional fuels like oil and propane. As pioneers of the “virtual pipeline,” we are constantly refining and innovating technological solutions for our network of compression stations and lightweight, high-capacity trailers. XNG will grow alongside your enterprise to make progress in the right way using the best practices available. Reduce your energy costs and carbon emissions. The benefits of natural gas start with your bottom line. As the cleanest-burning fossil fuel natural gas is a highly efficient energy source, which means you save money by using it. A seamless transition to natural gas. We tailor a solution for your fuel needs, industry requirements, and operational structure. As your company’s energy requirements evolve, we will develop our systems to progress with you. Power your business with uninterrupted service. The quality and scale of our operational system and infrastructure is unmatched. Since 2011 we have invested over $60M in equipment and service capabilities that you can rely on. From infrastructure, to equipment to service, there’s no risk of pressure or seasonal restrictions. When energy means peace of mind. Natural gas is nontoxic and will not contaminate the environment if it is released. It also has no known toxic or chronic physiological effects, and is not poisonous. Rely on us to operate with the highest commitment to the safety of your employees, of our employees, and of everyone in the communities where we work. XNG is here to help you every step of the way to make sure your organization reaches its present and future goals. To ensure your company’s future, you have to stay on top of every aspect of your business, especially when it comes to the bottom line. That means always getting the highest return on your investment when spending your company’s hard earned money. We put a premium on customer service because reaching our shared objective is only possible when we develop personal relationship with our customers. Starting from the first time we meet to the installation of your customized conversion, to the daily deliveries and on-going development of your energy needs, everything XNG does will be predicated on understanding your business almost as well as you do. Whether you are dealing with a personal account management contact, taking advantage of our fuel advisory service, or accessing our 24/7/365 technical support, you’ll receive professional and knowledgeable care that is designed specifically to meet your organizations’ unique needs and technical capabilities. Our business model is built on us working together, and XNG is here to help you every step of the way.